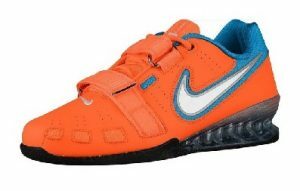 Olympic lifting shoes really aren’t that different from a regular gym shoe. It’s mainly the heel height that is the real difference. Seems pretty obvious, right? The heel height is important because Olympic lifts require a lot more ankle mobility than regular compound lifts like the squat do. That means in general that a shoe with a higher heel is going to be better for oly lifting. That being said, this factor is very dependent on the lifter as well. Everyone has different flexibility and it’s my opinion that it is something that everyone can improve on. But why not get a shoe that helps the process dramatically? 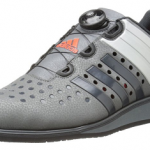 Build quality is also a huge factor in deciding the good from the great oly shoes. Some shoes even feature a wooden heel that for a long time was considered to be top of the line, but synthetic TPU heels do the job just fine. It’s really important to pay attention to a brand’s reputation when it comes to quality to see if there have been defects or poor construction. When one person complains it might not mean much, but when one hundred do you know there is a problem! Lastly, I’ll be considering price as well. I’m a very conservative spender by nature and want to get the most bang for my buck. I have no problem paying for top of the line equipment, especially footwear. But if I can get a mid-range shoe that performs just as well and costs 2/3rds of the high end that is a HUGE plus! All of these factors will be considered in the list with heel height and build quality having the largest impact on how they are ranked. 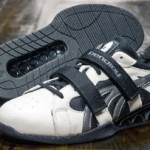 Price is there too, but it’s not a primary concern when you are looking for the best oly lifting shoe possible. We have an unconventional front runner with the Adidas Leistung! The Leistung is basically an upgraded Adipower. Despite some people thinking it’s ugly, I think it looks pretty cool! The “boa” closure system it uses instead of laces is surprisingly easy to use and great for getting a snug fit. The heel is 1”, higher than the other two shoes on the list by ¼ of an inch which is pretty significant. That along with its other features tell that it was designed very precisely for Olympic lifting. 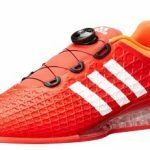 The build quality is excellent as you would expect from Adidas with TPU being not only used for the heel, but also the sides for extra control and stability. 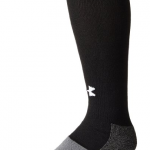 Coming right in second we have the Adidas Adipower. 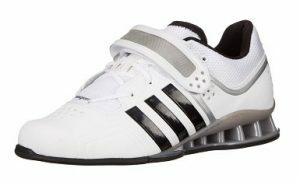 The Adipower has a fantastic reputation not only as a weightlifting shoe, but also for an oly shoe as well. So why is it in second place? For Olympic lift purposes its heel is .75” which is not bad, but compared to the Leistung leaves a little to be desired. I recently came across a site where someone has their pair modified to have a larger heel! To its credit though, the shoe has come down in price since its release and is a good deal cheaper than the Leistung is. 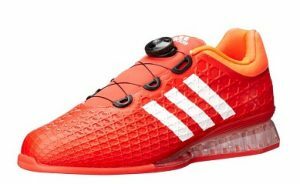 On a list of shoes competing to be the best oly shoe though, it isn’t enough to overtake it! Lastly we have the Nike Romaleo 2s, classically seen as the rivals to the Adipowers. Still considered to be a great shoe for lifting, it also has a .75” heel. It also features two straps instead of one which I am a big fan of for stability purposes. However, compared to the Leistung it doesn’t give it an advantage and it’s the MOST expensive shoe on the list. Unfortunately the price holds it back significantly from being a more appealing shoe. The biggest points in its favor are the comfort factor and lightweight. Also good to note is that it comes with two pairs of insoles, one that is soft for training and one that is more stiff for competition. For the best price look it up on Rogue Fitness, the Amazon seller is over-charging! This list is made of best oly shoes on the market right now. For the three factors listed above (Heel height, build quality, and price), it is very easy to rank the shoes. 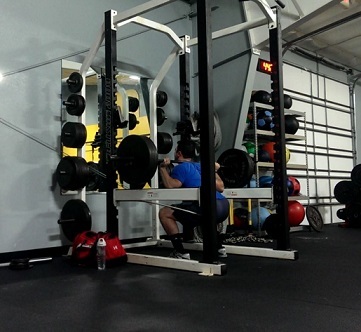 Heel height was crucial, because Olympic lifts are much more dependent on heel mobility than other lifts are. The Leistung will probably come as a surprise to most people, because it certainly did to me. Having an effective heel height of 1 inch gave it a big advantage. Build quality between these shoes is very high as you might expect from big name brands like Adidas and Nike. However, all of the shoes have distinguishing features about them that take a unique approach. That much was a draw. But what was a really clear factor was the price of the shoes. Even in a list where the main focus is the best shoe, not the cheapest. The Leistung are not a cheap shoe, but when you want the best then price takes a back seat. 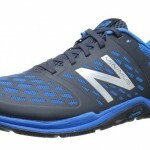 The Romaleo 2s are just a little bit more expensive than the Adipowers, but I am sure that alone makes them a tougher buy. The shoes are arguably VERY close in technical specifications, yet I know which one I would buy purely based on price. I try to be as objective as possible when I make lists. I like both Adidas and Nike a lot, as I own several pairs of shoes by both of them. However, when you look at the factors it is very clear where these shoes belong on the top three.